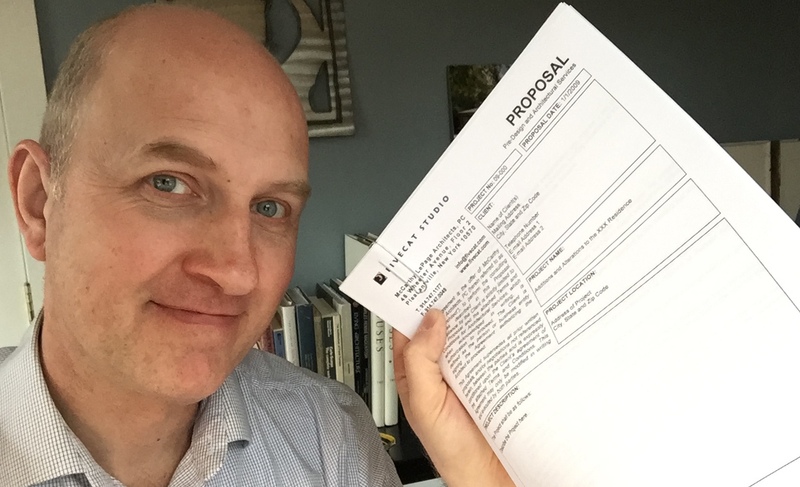 How do you create proposals for your prospective clients? Do you reinvent the wheel for every project? Maybe you use an contract document from our big architecture professional organization. 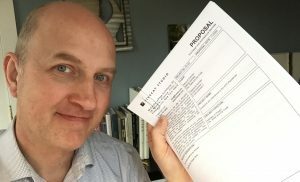 The Hybrid Proposal for Architectural Services is an Agreement Between Owner and Architect developed by Mark R. LePage for his small architecture firm. For nearly 20 years, they experimented with many different legal documents and tested just about every possible fee structure available. The Hybrid Proposal is the successful culmination of two decades of experience and experimentation that you can benefit from today. In this video session, Mark R. LePage takes you through the entire Hybrid Proposal package, step by step, and shows you how to create your own custom document; an agreement between owner and architect that will work best for you and your firm. Already purchased Hybrid Proposal course? Click here to access now. This document is both Proposal AND our Agreement Between Owner and Architect. The Hybrid Proposal for Architectural Services describes the proposed project, the scope of work, compensation and all the required legal terms and conditions. It completely eliminates the time-consuming step between a proposal letter and the formal legal agreement process. This document provides both in one package… and its super client-friendly graphics and easy-to-understand language keeps prospects feeling in control without the need for drawn out attorney review. When you click the BUY NOW button below you’ll receive BOTH the video course AND the complete template package that’s ready to edit and help you sign more projects and make more money today! This package includes the full video session described above plus complete Microsoft Word templates ready for you to edit for your own firm. The video and templates are worth far more than any money I’ve paid for them. I’m actually going to use them TODAY to tweak a bit and send to a potential client. They are already helping my business!!! You walked me through your entire document, which is more than any lawyer would do, especially for that fee. You explained everything as you went along. That is extremely helpful and informative. I love it and have found it very useful, clear, well received by clients and it’s helped my profits and bottom line. Click the BUY NOW button and you’ll be using YOUR new Hybrid Proposal for Architectural Services in no time.